The objects that Bart van Wees studies are usually only visible under an electron microscope: he builds nanodevices, electronic circuits with a core that consists of layers just one atom thick. At this scale, the laws of quantum mechanics dominate. ‘This subject already intrigued me when I was studying physics in Delft’, says Van Wees in his office in the physics and chemistry building on the Zernike Campus, where he has been working since his transfer from the Delft University of Technology in 1991. His PhD research studied the behaviour of electrons in semi-conductors and made him the first person to discover experimental proof of ‘quantized conductivity’, the phenomenon of gradual decrease of conductivity relative to gauge in extremely thin wires, which is now included in every textbook about solid-state physics. It was there that his fascination with electron behaviour was born. You would assume that physicists knew everything about electrons by now, but their behaviour inside all sorts of materials remains unpredictable. ‘We can always explain things afterwards, but surprises continue to occur’, says Van Wees. After his transfer to the Zernike Institute of Advanced Materials in Groningen, his attention soon shifted to a new field, spintronics, which describes a quantum mechanical property of electrons, their ‘spin’. 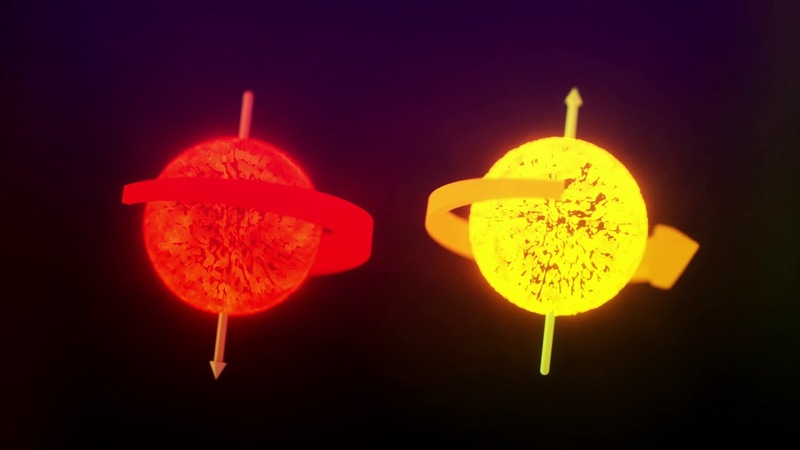 This can be best imagined by picturing electrons as small spheres spinning around their own axis, causing them to behave like small compass needles. This spin can assume two values: 'up’ or ‘down’, which makes it suitable, in principle, for storing or transporting information. In one of his most-quoted articles, Van Wees describes how spin transport, like electron transport, always chooses the path of least resistance. This may seem obvious, but Van Wees’ ability to describe spin transport in an accessible manner is what turned the magic back into science. That is exactly what is needed to advance the field. Recently, he even managed to realize spin transport inside an insulator, that is to say a material that does not allow any electron transport at all. The discovery of graphene, a two-dimensional form of carbon that is an extremely good conductor of both electricity and heat, spurred further innovation. Spin transport inside graphene proved to offer numerous possibilities, and, again, Van Wees is furthering our understanding, mainly through the construction of devices in which different materials are often combined. ‘What do the electrons do then, and how can we use quantum physics to influence their properties? This is what I am trying to find out about with original experiments; it will increase our level of understanding.’ Eventually, this type of research might lead to even smaller transistors. In accordance with Moore’s Law, the number of transistors in integrated circuits has doubled every 24 months since 1965. However, the shrinking of transistors is reaching its limits, and new technology is needed to make the next step. Van Wees’ devices point the way to electronics beyond Moore’s Law. 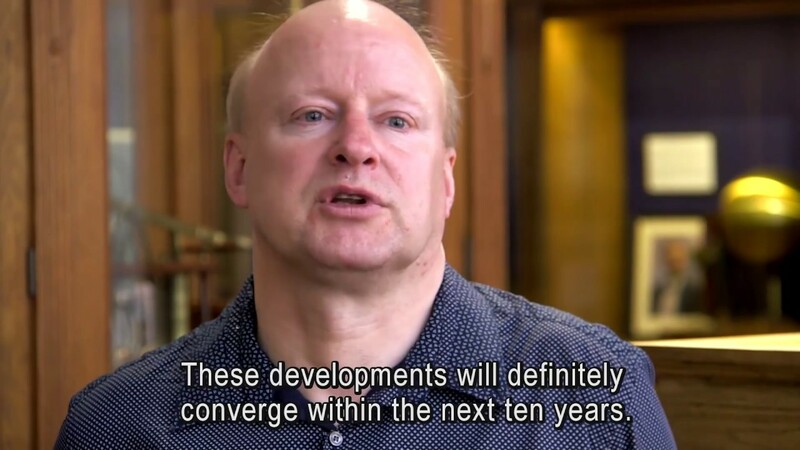 Van Wees’ work is highly regarded internationally, and his leading position can be seen in the important role he plays in the EU Graphene Flagship project. Between 2013 and 2023, Europe will be investing € 1 billion in fundamental research leading to the development of practical applications for graphene, such as super-small transistors. The project has been subdivided into a number of themes, with Van Wees in charge of the package that focuses on spintronics inside graphene. Even though Van Wees’ research group is now substantial in size, he still succeeds in having weekly meetings with his subgroups about their work. ‘Everyone drops by, from interns to post-docs.’ They all give short presentations about their progress, after which there is time for discussion and advice. Students who obtain a Master’s degree or PhD in Van Wees’s lab have an understanding of technology and the associated physics. ‘And they should be able to distinguish between genuinely hot topics and hot air’, Van Wees adds. He stresses that it is also in society’s interest that academics are capable of giving advice and separating sense from nonsense. The Spinoza Prize will enable Bart van Wees to keep on pioneering. Besides the honour of receiving the prize, he can spend EUR 2.5 million on research of his choice. He still needs to have a good think about how he will spend the money: ‘I could use it for my current research, but I will certainly use some of it to explore new territory too.’ His approach remains focused on making realistic devices, whose properties he prefers to discover at room temperature. ‘That’s because I always think about potential practical applications first’.